Are you a blogger or influencer looking to up your Pinterest knowledge and learn Pinterest best practices? Looking for a fun pinners conference to attend? Wondering how to create the best Pinterest graphics? Come gain new knowledge to grow your brand from the best Pinterest pinners and content creators. Learn what image creators people are using, how to make a pin that gets shared repeatedly, how to drive traffic to your site through Pinterest, and how to use all the tools. What better location to find inspiration than the happiest place on earth! The Disneyland Resort! 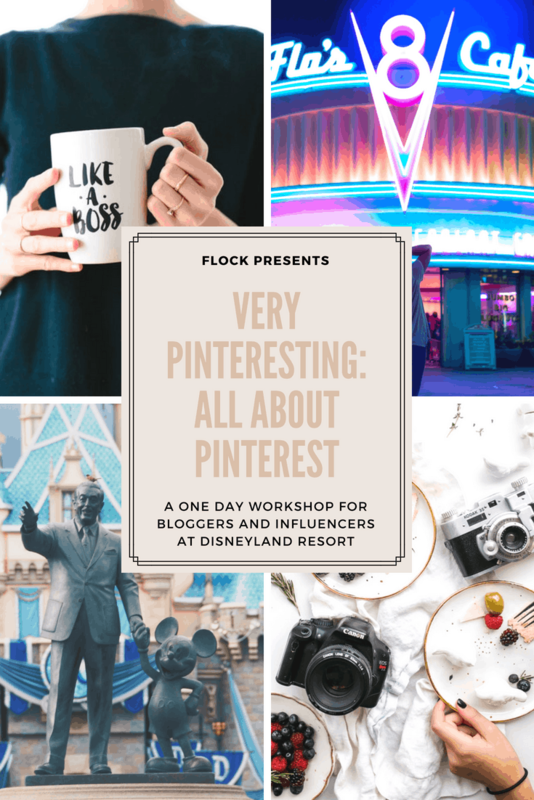 FLOCK is excited to announce our Very Pinteresting event at the Disneyland Resort! Come learn from Becca Ludlum, creator of My Crazy Good Life, who will lead a tutorial all about creating great pins that will generate more traffic for your site. 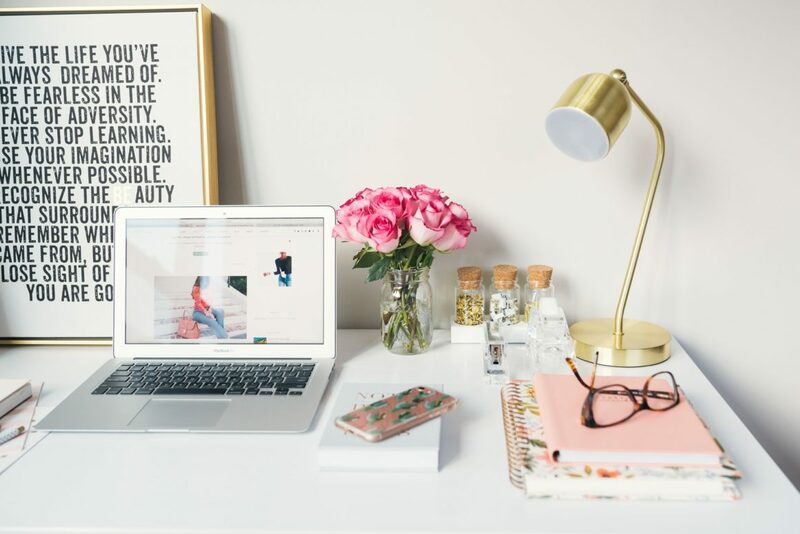 Learn about strategy and tried and true technique that works for Becca, who has over 7 million monthly Pinterest views and we all want to hear her tips! Becca has written books about blogging and healthy eating, and is well known in her community as a mentor to other bloggers. Becca and her husband Steve own and operate Crazy Good Media, a small digital community management company for businesses. In her free time Becca enjoys working out, binging on Netflix, and attending hip hop concerts with her friends and kids. She lives with her amazing husband, two teenage boys who are taller than her, and three sort of well-behaved dogs in sunny Southern Arizona. Flock is so happy to welcome presenter Tracey Clark! Tracey has cultivated an expansive career that integrates all of the things she loves the most; photography, writing, teaching, speaking and of course, motherhood. She will be shedding light on photographing great pinnable images. She’s the author of 4 books including Elevate the Everyday: A Photographic Guide to Picturing Motherhood , and Expressive Photography: A Shutter Sisters Guide to Shooting From the Heart . Tracey is a freelance writer and photographer and a pioneer in the social media space. She’s the founder of the collaborative photo blog Shutter Sisters. She created a library of online photo-centric classes and projects for Big Picture Classes and beyond. Tracey has also been a columnist of Point of Focus. She has worked with brands like Disney, Haagen-Dazs, Nintendo, Lensbaby, Stampington Press, HP, and Microsoft. Tracey loves nothing more than to share the stories and images she’s gathered along her creative life’s journey. She lives in sunny So Cal with her family and emphatically believes that perspective—and love—changes everything. We also have a few other BIG details up our sleeve so stay tuned! We hope to see you at the Disneyland Hotel on October 11th, 2018. A discount hotel room block at Disneyland is coming soon. Early bird tickets are ON SALE NOW! Don’t wait, because the price WILL go up!